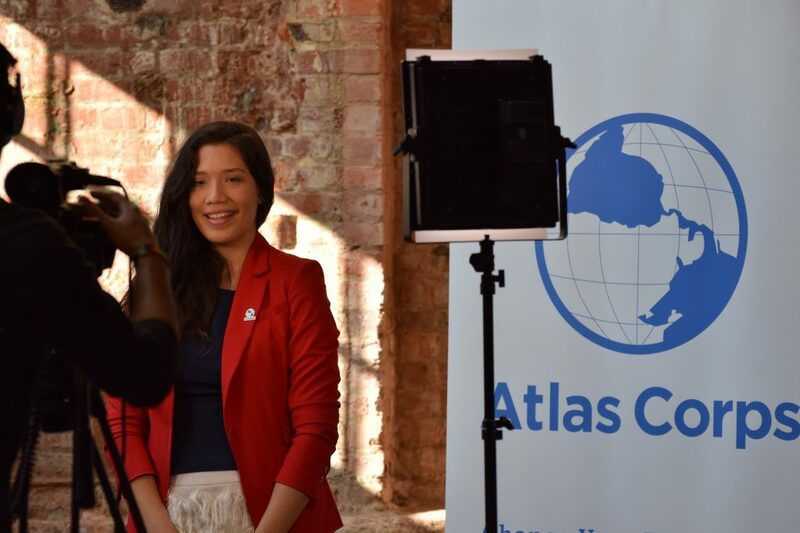 In its first 10 years, Atlas Corps established the Fellowship—a world-class model for connecting emerging global talent with U.S.-based organizations for long-term service assignments. To date, more than 500 professionals from 84 countries have spent 12-18 months in the United States supporting social sector initiatives, developing valuable skills, forging cross-cultural relationships, and serving as citizen diplomats. Fellowship offerings have, until now, primarily focused on supporting nonprofit partners. Recently, however, an exciting new collaboration with the U.S. Department of State expanded the Atlas Corps scope. A cooperative agreement, exclusively between Atlas Corps and the State Department, has been reached to enable young professionals from the Middle East and North Africa to work in the private sector. I had the pleasure of connecting with Atlas Corps’ Partnerships Director, Brittany Gropp, to learn more about this new direction for the organization. How did the Department of State agreement come about and what does this mean for the Atlas Corps Fellowship offerings? The cooperative agreement, launched in September 2016, is specifically intended for Fellows from the Middle East/North Africa region (MENA) to serve at large, private-sector corporations. The agreement builds on our growing engagement with the State Department—including our joint collaboration on President Obama’s Stand with Civil Society agenda. Atlas Corps will continue to offer opportunities to Fellows from all over the world, and we are now more motivated to reach out to the private sector to place talent from the MENA region. It is an opportunity to start new conversations that may end with placements from MENA or elsewhere. Why would a corporation want a Fellow? There are three main reasons: talent, capacity, and budget. All teams can benefit from diverse perspectives and skilled professionals. Our affordable cost share fee is an added bonus. In a time when Corporate Social Responsibility is growing, yet budgets are not, departments are asked to do more with less to achieve social impact. An Atlas Corps Fellow provides a mission-aligned and budget-conscious way to increase this impact. Let me break down our financial model: Host Organizations contribute a cost share to receive a vetted Fellow for 12 months. While our standard 12-month corporate cost share is $40K, the MENA partnership lowers that responsibility to $10K-15K. Additionally, Atlas Corps handles the Fellow’s stipend, insurance, visas, flights, taxes, and orientation. What is the profile of an Atlas Corps Fellow? Our Fellows complete an extensive vetting process. They each have between 2-10 years of work experience, a bachelor’s degree (roughly two-thirds hold advanced degrees), and fluency in English. They are experts in their fields—be it marketing, strategic planning, or CSR—and their diverse approaches to executing their responsibilities enhance the collaborative experience for host organizations. What are the goals and expected outcomes of the Atlas Corps private sector Fellowships as compared to the nonprofit fellowships? I think this particular initiative will not alter the goals during the Fellowship but rather will enhance the outcomes after the Fellowship. Fellows come to learn and to share. Our partners comment on how they receive as much, if not more, benefit from a Fellow’s involvement than vice versa. 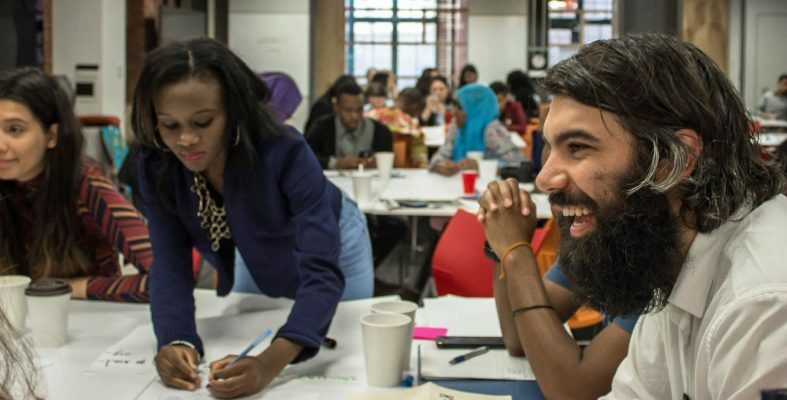 Our Fellows are professional, passionate, and intelligent individuals who are ready to hit the ground running and help strengthen their Host Organizations. This approach does not change based on the tax status of an entity. We anticipate that corporate partners will have beneficial experiences much like American Express. We also anticipate these “private sector” Fellows will multiply their impact at home at a faster rate. The corporate experience they gain, combined with our leadership development program, will help stimulate local economies in the MENA region. A stable economy and greater employment prospects mean more youth are engaged in rewarding work and fewer are discouraged and susceptible to negative engagement. Is this the beginning of a larger trend to engage the private sector? Right now the private sector is more focused on community involvement and social impact than ever before. Why not involve a Fellow in those efforts? Organizations can both increase the impact of programs and contribute to the professional development of an emerging global leader who will continue to advance the mission following the Fellowship. The Fellows’ commitment to social change and their desire to contribute make them the perfect utility player to advance CSR initiatives. An excellent example is Tisa Muhaddes (Bangladesh, Class 12, Host: McKinsey & Company). Tisa began her Fellowship at McKinsey & Company serving on the external relations team of the Social Sector Practice. Shortly after she started, she took on additional responsibilities on the research team, aimed at identifying topics of interest for a wide range of social issues. Her research efforts then led to her authoring content for external newsletters. Tisa was not confined by the original role for which she was selected. Instead, she embraced any opportunity she was offered to grow and learn within the Social Sector Practice. Atlas Corps is an international network of nonprofit leaders and organizations that promotes innovation, cooperation, and solutions to address the world’s 21st century challenges. 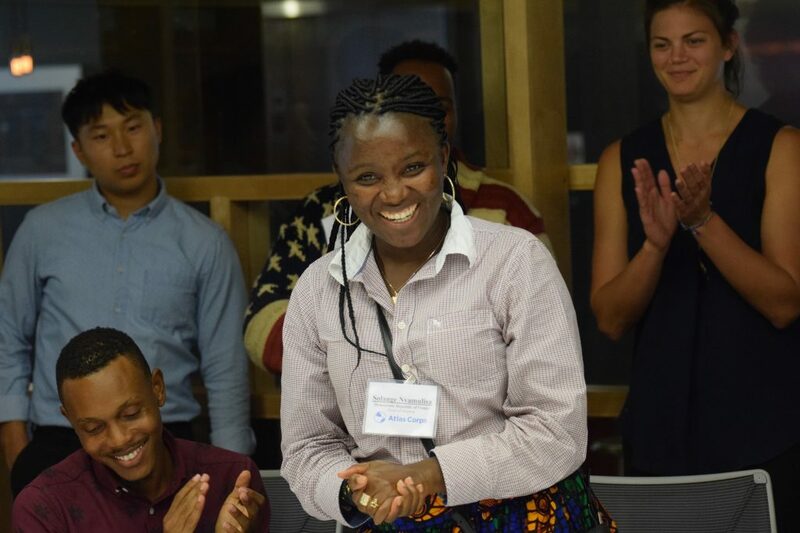 Their mission is to address critical social issues by developing leaders, strengthening organizations, and promoting innovation through an overseas fellowship of skilled nonprofit professionals. For more information, contact [email protected]. Host organizations interview and approve an Atlas Corps Fellow prior to placement. Interviews are free and do not obligate an organization to accept a fellow.